Yet another book-turned-movie franchise recently released its follow up to a solid first entry in the series. While the first film, simply titled The Maze Runner, was not a spectacle of any sort, it at least executed an interesting idea to a certain degree. 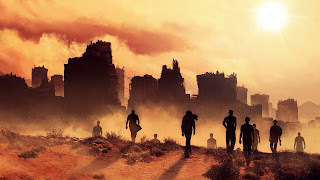 The sequel, Maze Runner: The Scorch Trials, drifted into a clichéd post-apocalyptic film that was too focused on setting up a sequel rather than telling a self-contained story. The film follows immediately after the events of the first film. 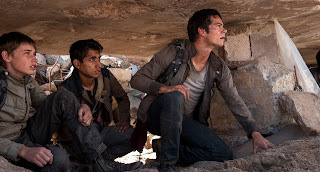 Thomas (Dylan O’Brien), Teresa (Kaya Scodelraio), and the rest of the teenagers escape the maze, an organization, led by Janson (Aidan ‘Littlefinger’ Gillen), seem to save them and take them to a paradise. Things clearly aren’t right and the kids break out and run into the bleak wasteland known as the Scorch. Danger waits with the heat and the various creatures known as Cranks (They’re zombies), but as they make their way to a rebel group known as “The Right Arm”, they face more and more obstacles. The acting isn’t anything to write home about. The two leads, O’Brien and Scodelraio, are not provided with much to work with besides reacting to what’s going on. Giancarlo Esposito, as Jorge, and Gillen provide the best performances, and steal their scenes in a way. The action is not bad but still not as good as it could be. The only standout action scene is one involving a fallen skyscraper and running from hoards of Cranks (They’re zombies). 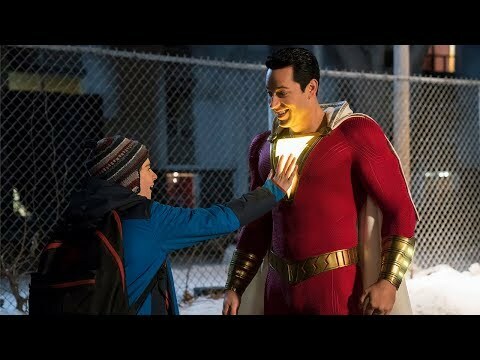 The direction isn’t great from Wes Ball, but I will say some scenes are executed well while others are slightly cringe-worthy. So have you seen The Scorch Trials? Is it better or worse than the first film? Comment below and let me know and as always come back to I Am Sam Reviews for your weekly movie reviews.